There seems to be two types of people when it comes to sardines. The first group love sardines, they have their favourite recipe and go to brand. An individual in this group could eat them everyday without complaint. The second group screw their nose up as soon as they hear the word 'sardine'. The funny thing is that many in this latter group have never even tried a sardine! Until recently I was in this second group. Like many, I had never even tried them. I loved fish - I ate salmon on a regular basis and prawns were always a treat. But I wouldn't go near a sardine. I don't know why, I think it was simply the thought of eating a little fish! 40 days ago I set myself a challenge of eating sardines once a day for a month. The reason behind this challenge? I used to think I had my fish consumption covered by popping a few fish oil capsules. 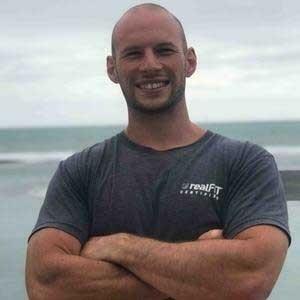 But after doing some research for my Ultimate Guide To Supplements I realised that food always trumped supplements. Sardines are packed full of omega 3 fatty acids EPA and DHA. More than salmon and most other seafood! 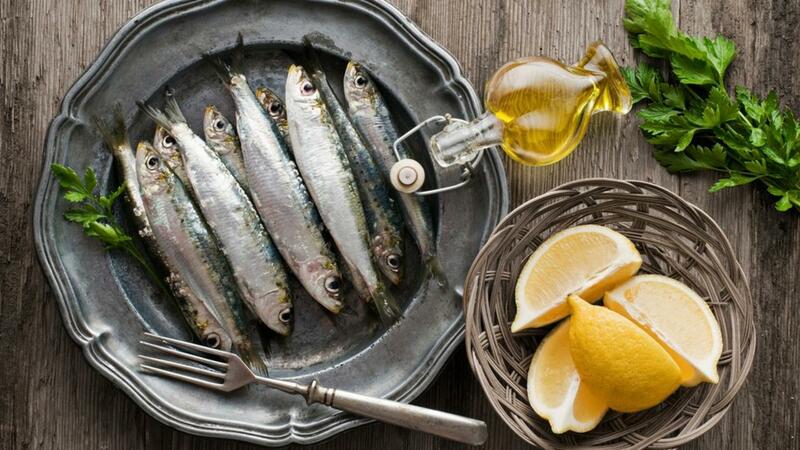 Sardines are a great source of vitamin D. A vitamin many of us are deficient in. Sardines are one of the top sources for B12 content (behind beef liver). A vitamin vital for our metabolism and heart health. So if you're not eating liver on a regular basis, don't worry, have a can of sardines instead! 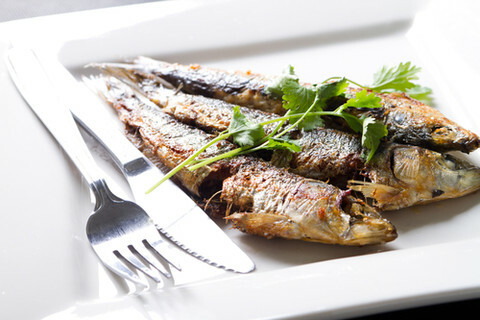 Sardines are high in minerals such as phosphorus, calcium, potassium and selenium. 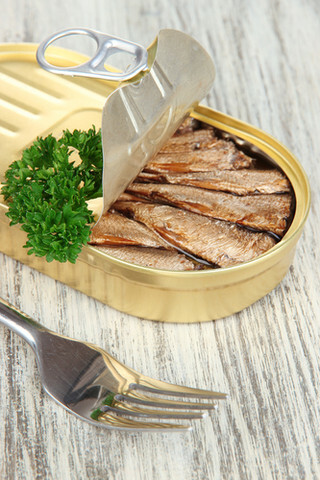 Sardines are low on the food chain, meaning they have less accumulated heavy metals such as mercury that bigger fish like tuna have. Finally they're a great low carb, high protein and fat food source. This shouldn't be of any real surprise, you're eating a whole animal. Why not leave Fergus Henderson's Nose To Tail cookbook on the shelf and eat a sardine instead. So without further ado, let's look at 51 ways you can eat a sardine. Below are 51 ways you can eat sardines. Some of them I have tried, others I haven't. 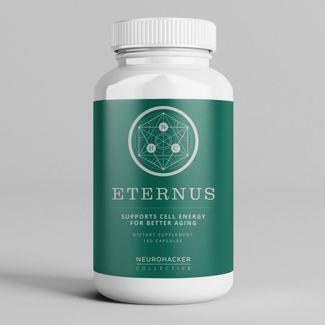 I want to thank the community at Quantum Health for their submissions also. For those who haven't had sardines before, I recommend starting with #1, #2, #46 or #48. Enjoy! This was my staple way of eating sardines. Mash them up with a fork, add apple cider vinegar and salt and away you go. This was actually how I had my first ever sardine! Using the Sardine Mash above as a base, simply add as many flavour disguisers as possible. Olives, coriander, lettuce, grated carrot, pickled garlic, dill pickles, apple cider vinegar, chopped nuts and lots of salt & olive oil. Stir it all up and you wouldn't even know there was a sardine in there! Thanks to Ben Greenfield for this idea. Fill the wrap with spinach, tomatoes, mozzarella or feta cheese and then dump the can of sardines on top so that the olive oil saturates the vegetables. For added calories, include a sliced avocado in the wrap. As per #3 Sardine wrap however substitute the wrap with a big lettuce leaf, swiss chard, kale, or bok choy. Salt, pepper, lemon juice, fresh herbs (I like tarragon and/or oregano), olive oil, hot grill, one/two/three minutes a side depending on size. Works best for fresh sardines. 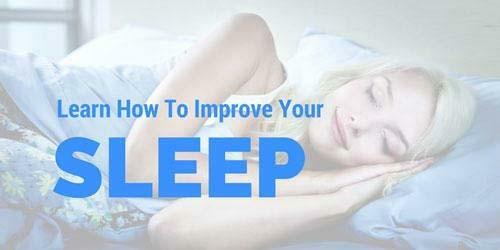 Thanks to Mark Sisson for this tip. 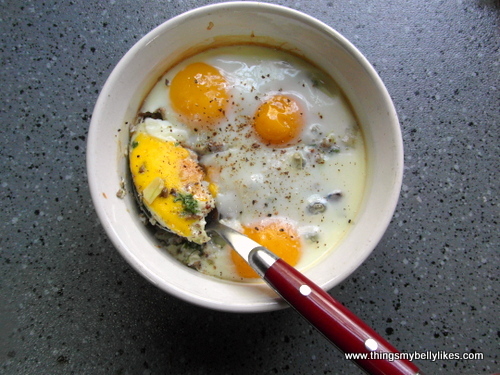 Using small (ideally fresh) sardines, coat in egg and almond flour. Fry in hot coconut or olive oil until crispy. Eat while still hot. 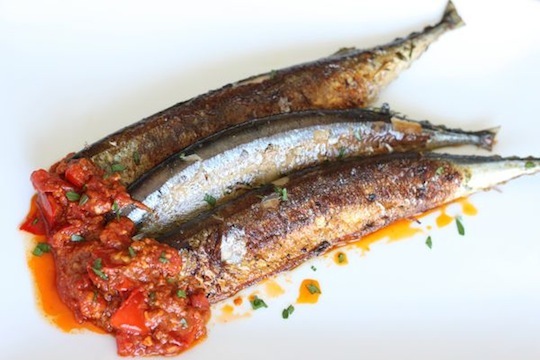 The bold flavour of sardines pairs perfectly with the bold, rich and spicy tomato sauce. The acidity of the tomatoes helps lower the 'fishy taste' that many people dislike. Deep-fry, pan-fry, broil or grill the fillets for just a few minutes and the flesh will be moist, almost creamy, with a crispy, salty layer of skin on the outside. If you’re not up for cooking fresh mackerel and sardines, all is not lost. This tomato sauce is pretty great with canned fish too. For the full recipe head to Mark's Daily Apple. Sardines, like any fish, go great with onion cubes and lemon. Use smoked, lightly grilled or canned sardines. Have your canned sardines with capers, salt and a dash of lemon. Thanks to Paleo Osteo for this tip. A variant of above, use capers with diced tomato and olive puttanesca style. 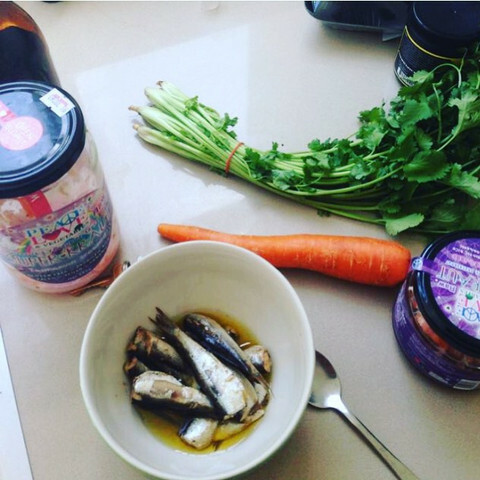 Simply sprinkle some organic seaweed gomasio over your sardines for a quick and tasty meal. "One of my favourite ways to eat tinned sardines is to "bloody mary" them – that is, crushing them up with a dash of tomato ketchup, Tabasco and Worcestershire sauces, lemon juice and, if it's past midday, even a splash of vodka. Spread on hot brown toast, this is a great way to put a spring in your step." 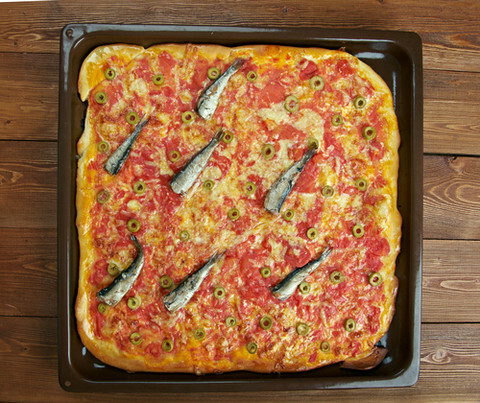 "Pizza is another superb canned-fish vehicle: anchovies are traditional, of course, but any canned sardines can work wonders. Just top a thin disc of dough with a layer of sweated onions (tomato not necessary), crumble or chop your fish into chunks and scatter over, add a few dollops of creme fraiche, some salt, pepper and olive oil, and whack into a ferociously hot oven for a few minutes: divine." "Even easier is mashing up sardines or mackerel with lemon juice and olive oil or soured cream to form a delicious, coarse sauce that works a treat folded into hot pasta, or even a warm potato salad." Simple really, make some of your favorite pasta and pasta sauce. Add chopped up sardines. This became my lazy version of "The Works Salad". Find a quality raw sauerkraut such as that from Peace Love & Vegetables. 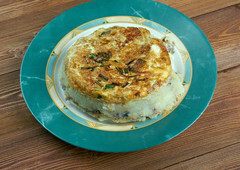 Add mashed sardines. Stir. Salt. Eat. Easy, tasty and uber healthy! Another simple yet surprisingly tasty option. Add some mustard to your sardines. Eat and enjoy! Ben Greenfield knows a thing or two about health & fitness and he is also pretty good when it comes to ways you can eat sardines! Here's his go to sardine salad recipe. "Chop up some red onion, a couple large handful of olives, and if you have some around, a bit of fennel. Add sea salt. Toss with sardines, and enjoy." Hard Boiled a few eggs, add some mayo and onions and throw in a few diced up sardines. Enjoy! This is a must for the summer barbeque. Simply pour lemon juice and olive oil over skewered sardines. Combine lemon zest & juice with dill, parsley, capers, cornichons and seasoning to make the dressing. Grill the sardines and top with the dressing. Here is something different, mash up the sardines with some red wine vinegar, avocado and some curry spice powder. Surprisingly good! Thanks to Monica for this tip and the gorgeous photo. 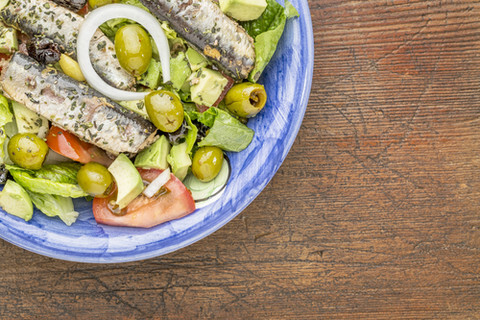 Mix up your favorite vinaigrette dressing, toss chunky sardines with avocado cubes, shredded lettuce and cherry tomatoes. Make a salad with spinach leaves, cheese cubes and sardines. Mix up a dressing made of yoghurt and tikka masala for a unique sardine salad. Sour cream makes everything better! This is a very common way to eat sardines. Simply drizzle some quality balsamic dressing over them and enjoy. If you love seafood you're going to love this. Take a big bowl, add some canned wild sockeye salmon, raw oysters and sardines. Sprinkle with turmeric, salt, pepper and olive oil. Can anyone say DHA?! Another great idea from Ben Greenfield. "Slice a large garden tomato so you can use it like a cracker, sprinkle it with a bit of sea salt, and top it with a chunk of sardine, some mozzarella cheese, a sprig of fresh basil or sprinkling of basil spice (you could also use arugula, oregano or rosemary). 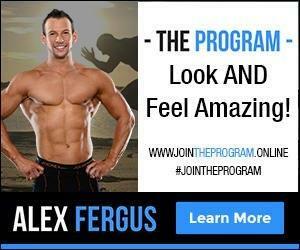 For more carbs, you can add a rice or flax seed cracker under the tomato." A quick and very healthy breakfast or brunch option. Whisk eggs in a bowl, add canned sardines (drain the oil), chopped onions and salt. Pour into a pan with hot butter. Cook until nearly set and flip. This traditional french spread is usually made with anchovies but sardines and make a great alternative for those who struggle with anchovies flavour intensity. Finely chop or crush black olives, capers. Add olive oil to make a paste. Mix in crushed or pureed sardines. Garlic, lemon, herbs or brandy can also be added. Serve on bread, crackers or use as a condiment. Joe Vargetto, owner and chef of Sicilian style restaurant Mister Bianco was kind enough to share two of his favorite sardine recipes. A chef with roots which stem from Sicily must know a thing or two about sardines! These two dishes are superb! Marinate sardine fillets in olive oil with sliced fennel and marjoram for 12 hours. Prepare the salad by combining green beans (blanched and halved), small chat potatoes (poached in salt water, peeled and sliced), black olives, diced celery, cherry tomatoes (halved) and a few sprigs of watercress. To make the dressing, reduce 200ml of blood orange juice by half, add 250ml of fish stock, reduce by half again. Allow to cool and whisk in 200ml of olive oil. Season and gently grill the fillets. Dress the salad with lemon, olive oil and pepper. Grate some bottarga on the salad and sardines, and drizzle over the blood orange dressing along with extra olive oil. Recipe number two from the mastermind behind Mister Bianco is a simple to prepare, yet elegant dish. Sweat onion and carrot (both sliced into rings) quickly then add thyme, bayleaf and salt & pepper. Add 100ml of white wine vinegar, 100ml of olive oil and 100ml of water. Reduce by half. In an oven tray, add well seasoned sardine fillets, cover with the carrot, onion and thyme, and cook in the oven until cooked through. Arrange sliced fennel on a plate, top with fish and drizzle with the marinate. Serve with Ciabatta. 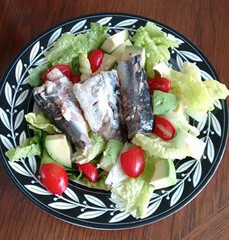 Here's a great sardine salad twist if you like a bit of heat with your food. Add cumin, chili powder, coriander, onion, decided bell peppers, garlic with sardines and salt. Toss and enjoy. Combing sardines with the Thai/Vietnamese hot sauce makes for a tasty combo. Using sardines in spring water, drain the water and top with sriracha sauce. Simple & tasty! Continuing with our spicy sardine theme, here's another great iead. Simply mash up sardines with spicy mustard and tabasco sauce. Make sure you have a glass of water at the ready! Prefer to have your sardines for breakfast? then add some scrambled eggs for the ultimate protein packed breakfast. Season with salt and pepper, garnish with parsley. Simply wrap a sardine or two in your favourite seaweed wrap, salt and add a dash of vinegar and you have the perfect meal from the sea! This builds on the above recipe and is similar to #3. Fill a nori wrap with mashed sardines, add grated carrot, pickles, sliced olives, and avocado. Wrap up the mixture in your nori wrap. Let it soften and then eat. The perfect sardines on the go snack or meal. In a pan, soften chopped garlic, onions and tomatoes in olive oil. Crush into a paste/thick sauce. Add chili and turmeric. Add tinned sardines on a low heat until warm. Eat as is or with rice. Mash sardines with a few anchovies. Add chilli flakes, fresh parsley and olive oil. Stir in a splash or two of warm water. Then stir into hot pasta. Sardines on toast with plenty of butter and a few splashes of tobasco sauce with plenty of cracked pepper. This is a Venetian recipe. You are meant to use thick spaghetti, but normal spaghetti will do. Peel and slice 3 onions and cook in 1/2 c of olive oil over low heat until yellowish and clear. Add 6-8 washed small sardines, and cook for 10-15mins on very low heat. In a large bowl mix spaghetti with the sauce. Serve very hot without any cheese if you want the traditional dish. Using leftover baked potatoes (slice and fry in a pan), add black olives and capers and a few cherry tomatoes. Heat all, add sardines over the top to lightly warm. Serve with fresh parsley. Simply mix lemon, salt, coriander, avocado and fresh or rehydrated mekabu or wakame. Wrap in nori. Take some sardines, add fresh basil, oregano, rosemary and mix in onions, plenty of sriracha sauce along with turmeric pepper. Enjoy. Yes you read this right, mix in some sardines with tinned tuna. It's a great way to lessen the fishy taste. Perfect for those who don't mind salmon or tuna but are still struggling to eat sardines! This is no Coconut avocado Ultimate Smoothie (though adding sardines to that smoothie would make it even more ultimate! ), this is simply blending up raw sardines with water. If you can't stomach the idea of eating your sardines, maybe drinking them is a better option?! This idea came from someone who absolutely HATES sardines. However, knowing how good they were for her she came up with a recipe that allows her to reap the health benefits without the gag reflex. Warm sardines in bacon fat, then mix in feta, olives and chopped red onion. Drizzle more bacon grease over and add lots of pepper and salt. 49. Sardines, Avocado's and Plenty of Hot Sauce! This recipe comes straight from Hollywood. Andy Hnilo, actor and creator of Alitura lifestyle skin care range shares his favorite way to eat sardines, even when its onset filming movies! Crack open a can or two of sardines, mash them up and add sliced avocado. Add hot sauce. If you're a sardine newbie, add plenty of hot sauce and extra avocado! This is a great way to eat a tin of sardines on a winters day. In a bowl, mix canned sardines, 2 eggs, parsley, grated sweet potato and grated cheese. Stir gently. Heat coconut oil over a pan so it's a centimeter or two deep. Using a spoon make balls from the fish mixture. Gently lower the balls into the hot oil. Fry until golden brown. Serve with lemon juice. And finally, the ultimate way to eat sardines, simply drizzle over lemon juice and olive oil, then sprinkle some quality on sea salt. 51 Sardine Recipes - How Many Have You Tried? So there you go, 51 ways to eat sardines. I'm sure there are plenty more and I'd LOVE to hear your favourites. 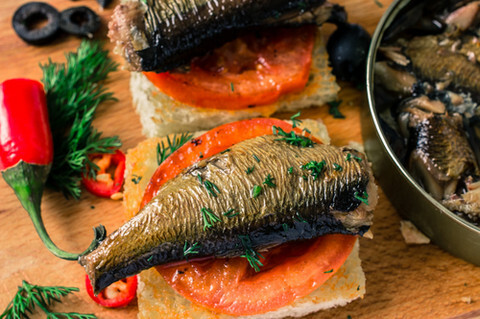 If you've never tried sardines before, hopefully there are a few tips in this article to entice you. Or if you're a regular sardine consumer, perhaps you have a new meal idea for tomorrow's lunch? Please let me know if you do try sardines for the first time. Once you shake that mental fear they're actually really tasty. Plus the health benefits are hard to beat!